Tonight, finally, my family was healthy enough that I could sneak away for a bit of sewing! It feels like I haven’t sewn in weeks, but of course it probably was only a few days. I was eager to make a bit of progress on my Circling Gulls. 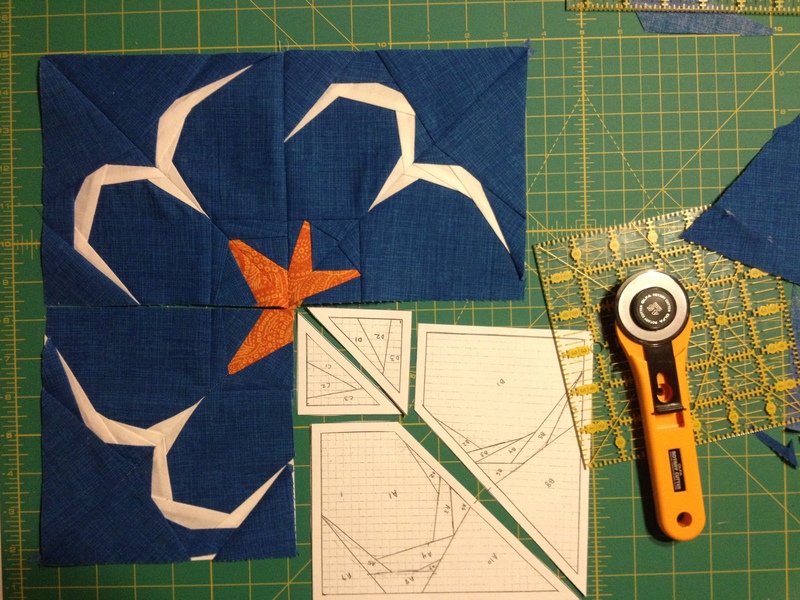 The third square of circling gulls has been patiently waiting in a state of in-completion. 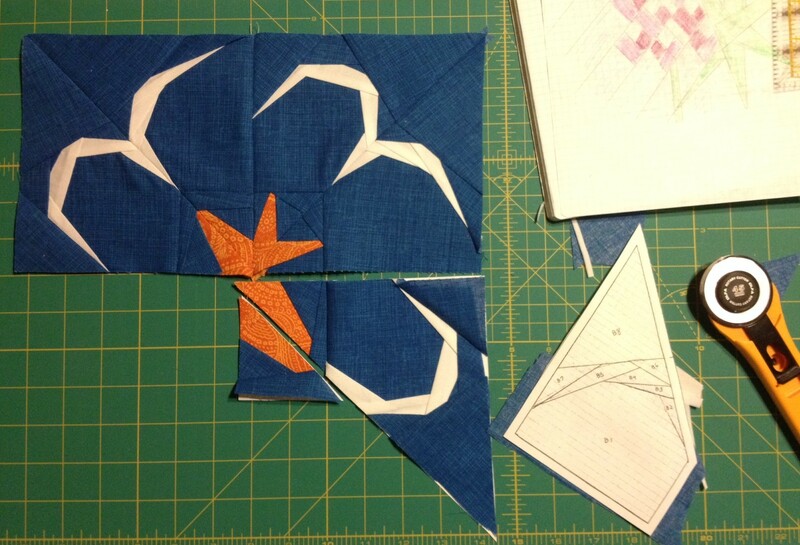 When paper piecing using the fabric scrap method, be generous in your cutting to allow for ample coverage, especially when it comes to long narrow triangles. When you are so excited to be sewing that you forget this tip, or perhaps think “oh, I don’t want to waste fabric; I think it should fit”, be warned: you may become good friends with your seam ripper. 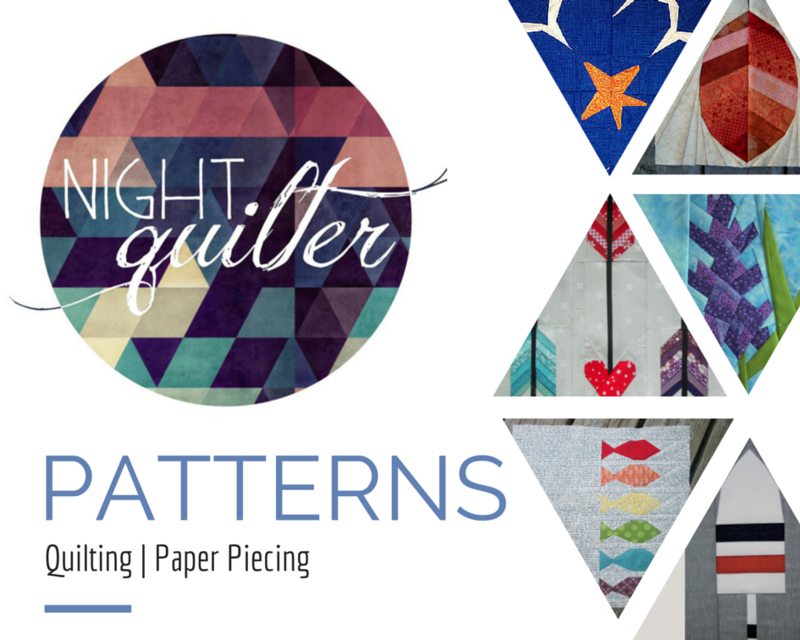 Especially with the super short stitch length used in paper piecing, ripping a seam is tedious and time-consuming work. 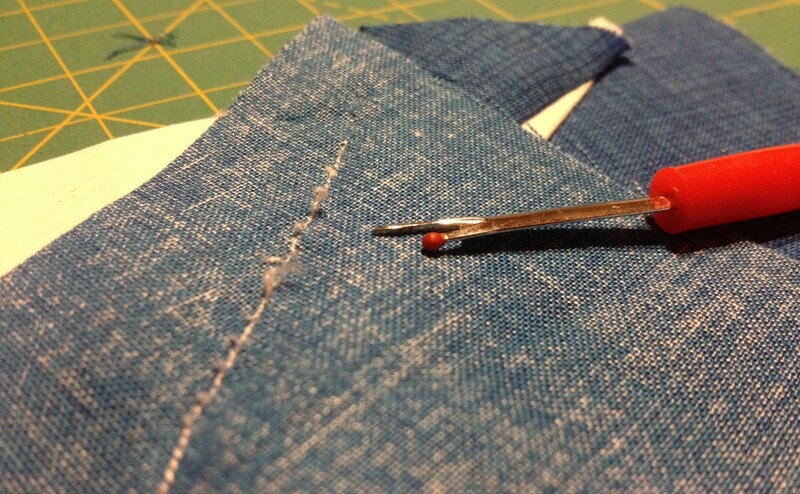 My friend, the seam ripper. Despite my progress detour, I was able to finish the third square. Only one more to go before I get to see my block in entirety. I am really liking how this block is turning out, and the more I look at it and play with it in Inkscape, I think this block would look great as part of a larger quilt. A night’s progress. Only one more square to go!